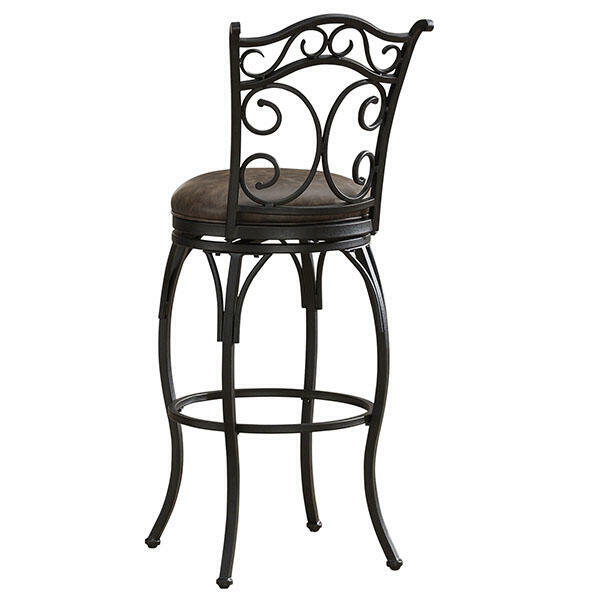 Solana means “sunny side” in Spanish; the Solana Counter Stool will add some radiance to your kitchen or dining room. Lovely metal embellishments grace the back of this beautiful swivel stool. It’s finished in graphite and has a coco bonded leather upholstered cushion. 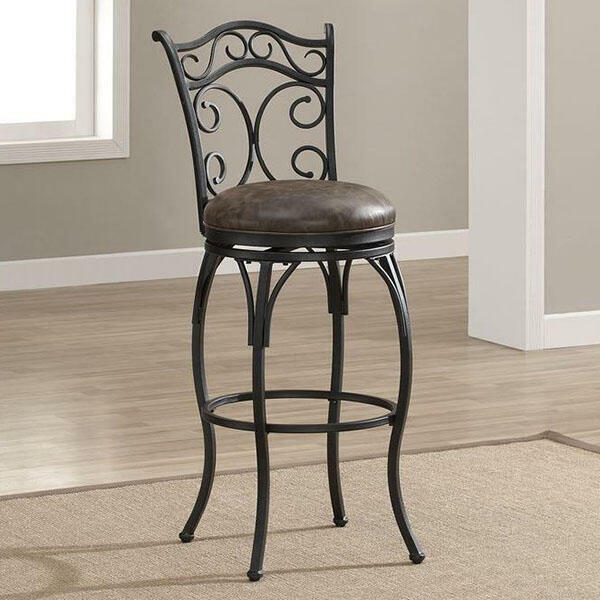 The Solana Counter Stool has a full-bearing 360 degree swivel mechanism and adjustable leg levelers for comfort and convenience.